Get Latest National News Headlines daily with The Tutors Academy. 1. A good number of India’s most polluted cities are not too keen to clean up their act, according to a list maintained by the Central Pollution Control Board (CPCB). Of the 102 cities singled out by the Centre for their alarming pollution levels, only 73 have submitted a plan of remedial action to the CPCB. Ahmedabad, Bengaluru, Nagpur and Jaipur are among the prominent cities that are yet to submit their plans. Get daily National news headlines and current affairs with The Tutors academy. 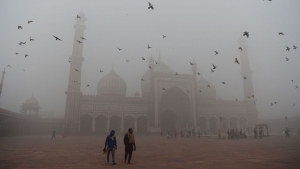 In May, the World Health Organisation said that Delhi and Varanasi were among 14 Indian cities that figured in a global list of the 20 most polluted cities in terms of PM2.5 levels. Other Indian cities with very high levels of PM2.5 particulates were Kanpur, Faridabad, Gaya, Patna, Lucknow, Agra, Muzaffarpur, Srinagar, Gurgaon, Jaipur, Patiala and Jodhpur, followed by Ali Subah Al-Salem in Kuwait and some cities in China and Mongolia. 2. If everything goes according to plan, in 40 months, three Indians will be launched into space by an Indian rocket. This is the aim of India’s ambitious manned spaceflight mission, Gaganyaan, the contours of which were outlined by Dr. K. Sivan, Chairman of the Indian Space Research Organisation (ISRO) on Tuesday. (National News Headlines)-The Tutor Academy. He stated that ISRO began work on the manned mission in 2004 and some of these technologies have been demonstrated successfully through various tests — Space Capsule Recovery Experiment, Crew module Atmospheric Re-entry Experiment and Pad Abort Test. The total programme is expected to cost less than ₹10,000 crore and will result in significant spin-offs in multiple dimensions, including technology spin-offs in the social sector. 3. A thousand labourers working round the clock in shifts for eight consecutive days! Cochin International Airport limited (CIAL), the country’s first Greenfield airport, is up and running once again. 4. 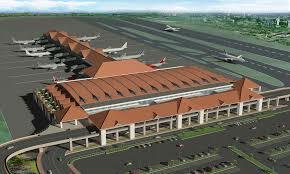 Cochin International Airport limited (CIAL) is the country’s first Greenfield airport. 5. Shanghai Cooperation Organisation (SCO) Summit held on June 9 at the Chinese port city of Qingdao. 6. The United States and Mexico on Monday reached a breakthrough bilateral trade agreement replacing the decades-old North American Free Trade Agreement (NAFTA) after Mexico agreed to concessions demanded by the Donald Trump administration. According to the new agreement, 75% of all automobile content must be made regionally, which is higher than the current level of 62.5%. Further, 40-45% of such content must be manufactured using labour that costs at least $16 an hour. Get Latest National News Headlines and curent affairs with The Tutors Academy. 7. The draft of the back series GDP data, which was made public by the government recently, is unlikely to change drastically even if other methods of calculation are used, says former Chief Statistician of India, Pronab Sen. This refers to the argument that people have a right to be served by a competent government, which makes it necessary that only a competent electorate should choose a government. It is generally accepted that only people who have the expertise to be doctors, for instance, can serve others who require medical help. Thus, according to this principle, it is unjust to let people who do not have the competence to choose the right rulers to rule others. The idea was proposed by American political scientist Jason Brennan in his 2006 book Against Democracy. 9. Starting the process of appointing the next Chief Justice of India (CJI), Union Law Minister Ravi Shankar Prasad has written to the incumbent, Dipak Misra, to recommend the name of his successor. Justice Misra retires on October 2. Under the Memorandum of Procedure governing the appointment of the CJI, the Law Minister should ask the outgoing CJI to recommend a name. The MoP says: “Appointment to the office of the Chief Justice of India should be of the senior-most judge of the Supreme Court considered fit to hold the office.” Justice Ranjan Gogoi is the senior-most judge of the top court after the CJI. Under the MoP, on receiving the CJI’s recommendation, the Law Minister puts it before the Prime Minister who, in turn, advises the President on the appointment. 10. There has been no movement on the issue of Indian helicopters in the Maldives, said official sources, denying recent reports that the government of President Abdullah Yameen had softened its stand and allowed the helicopters and their crews to stay on. India gifted the helicopters to the Maldives in 2013 for coast guard surveillance as well as medical evacuations in the strategically located islands, and withdrawing them will be seen as a blow to India’s presence there. The MEA declined to comment. 11. The government has scrapped two Scientific Advisory Committees (SAC) for the Prime Minister and the Cabinet, and replaced them with a nine member, Prime Minister’s Science, Technology and Innovation Advisory Council (PM-STIAC). According to a government note, the members of the panel are V.K. Saraswat, former chief, Defence Research and Development Organisation; A.S. Kiran Kumar, former Chairman, Indian Space Research Organisation; Prof Ajay Kumar Sood, Professor, Indian Institute of Science, Bengaluru; Maj Gen Madhuri Kanitkar, Dean, Armed Forces Medical College, Pune; Prof Sanghamitra Bandopadhyay, Director, Indian Statistical Institute, Kolkata; Subhash Kak, Professor, Oklahoma State University; Manjul Bhargava, Professor, Princeton University and the lone member from industry Baba Kalyani, MD, Bharat Forge. The newly constituted body is expected to act as a high level advisory body to several ministries and execute mission-oriented programmes. The office of the PSA was earlier led by R. Chidambaram, who played a key role in shaping India’s nuclear programme. 12. China’s second aircraft carrier, Type 002, being built at Dalian shipyard, has started the second phase of sea trials, state media has reported. 13. The U.S. told UN judges on Tuesday that they had no jurisdiction to rule on Tehran’s demand for them to order the suspension of sanctions against Iran. Iran has argued that U.S. President Donald Trump breached a 1955 treaty with his decision to reimpose the sanctions after withdrawing from a multilateral nuclear accord. 14. Google on Tuesday said it is working to bring technology and product experiences which are locally relevant to users in India in vernacular languages. 15. Warren Buffett’s Berkshire Hathaway Inc. has acquired a stake in one of India’s biggest digital payments firm Paytm. 16. The Indian men’s table tennis team settled for a historic bronze medal after losing 3-0 to South Korea in a lop-sided semifinal on Tuesday. India did not have a single medal in the sport which was introduced in 1958. China (61 gold), Japan (20) and South Korea (10) have dominated the scene. 17. India bagged two medals in kurash, a form of wrestling indigenous to central Asia and making its debut in the Games, with Pincky Balhara and Malaprabha Yallappa Jadhav winning the silver and bronze respectively in the women’s 52kg category on Tuesday. India, silver, 4x400m mixed relay. India, silver, Men’s compound archery team. India, silver, Women’s compound archery team. Indian men’s team, bronze, table tennis. Meaning 1 – Catch (someone) doing something wrong. Get daily National News Headlines and latest news updates to prepare yourself for NDA, CDS, Navy, and AirForce with The Tutors Academy.